Siemens Industry has extended the range of functions of the Simatic WinCC Scada (Supervisory Control and Data Acquisition) software in its latest Version 7.3 with the addition of the Simatic WinCC/WebUX V7.3 option for mobile applications. Designed to make engineering easier, the Simatic WinCC V7.3 now supports the central configuration of process data, messages, archiving and user management and processes texts in any languages. Communication options to current Simatic S7-1500 controllers have also been extended and it’s now possible to directly transfer tags with symbolic addressing. System messages of the controllers can also be handled. 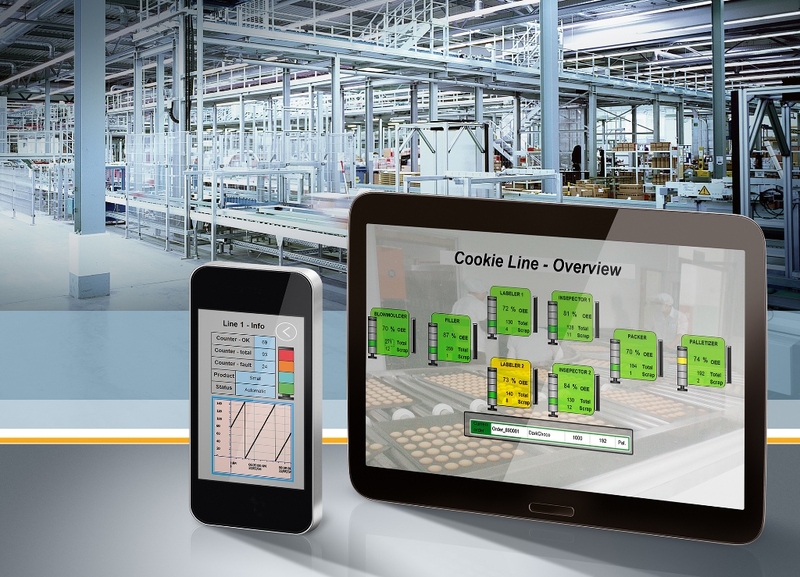 The new Simatic WinCC/WebUX V7.3 solution meets the growing demand for anytime, anywhere access to plant information using internet-based and mobile devices. Simatic WinCC/WebUX V7.3 goes beyond the usual control centre solutions on offer today to include flexible access to plant data using such remote devices. Innovative maintenance concepts, tasks for operations control or plant performance metrics can be made available in this way at any location, regardless of the platform. For example, this enables management to keep an eye on production data at all times, while quality assurance is always aware of current processes in production, such as fault messages or trends. In addition, the new package also supports remote access to the production process. For example, the user can specify switching operations and set points for remote operation. Simatic WinCC/WebUX V7.3 is independent of any platform or browser and does not require client installation. For secure communication, https and SSL are implemented via Web standards (HTML5, SVG) and user management is integrated in WinCC. The licensing model is scaled according to the required functional scope and number of users. What’s more, a license for WebUX access for monitoring purposes is already included in the solution. What’s driving the development of future-proof SCADA?